Ugh. It’s hot. I know that’s stating the obvious, but that’s about the only thought I can handle at the moment. 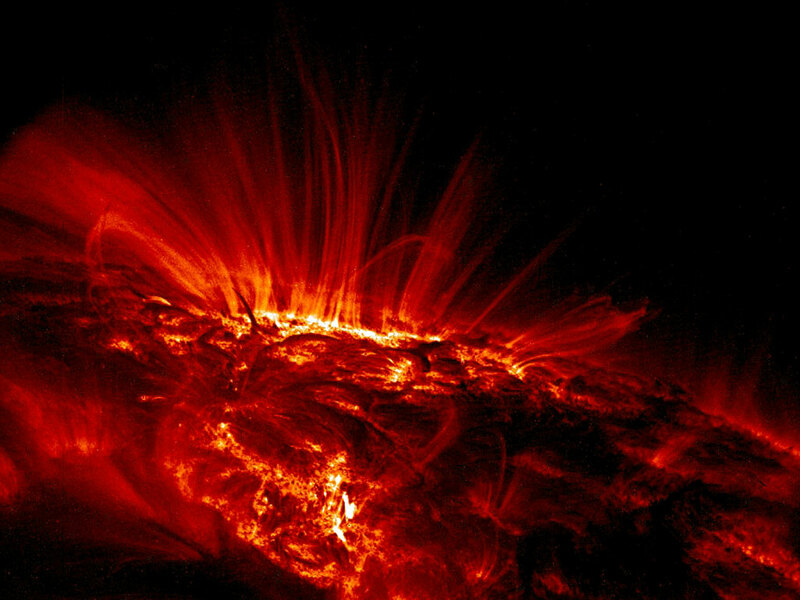 Add baking into the mix, and boy…..that’s a recipe for simulation of how it feels on the surface of the sun. Even with the air conditioner running. 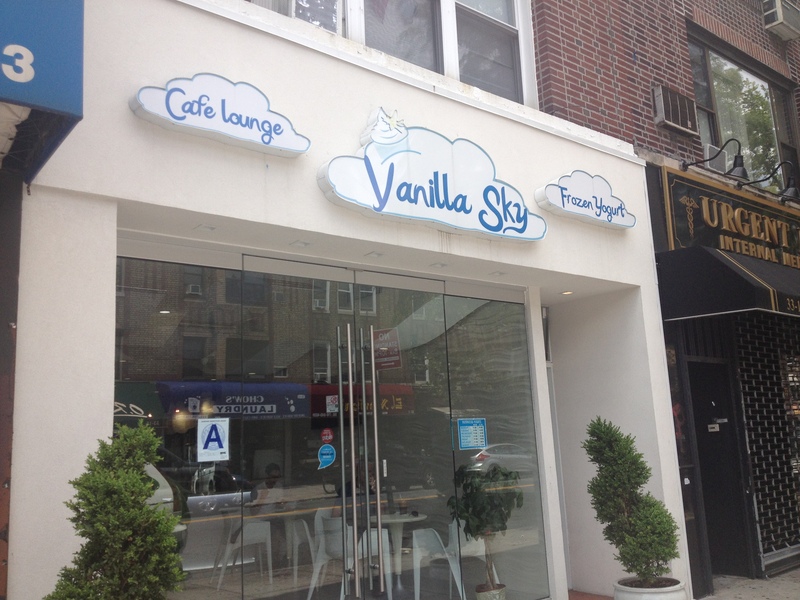 Thankfully, my drop this week was Vanilla Sky on Broadway between 33rd and 34th Streets. For the most part, frozen yogurt is frozen yogurt. 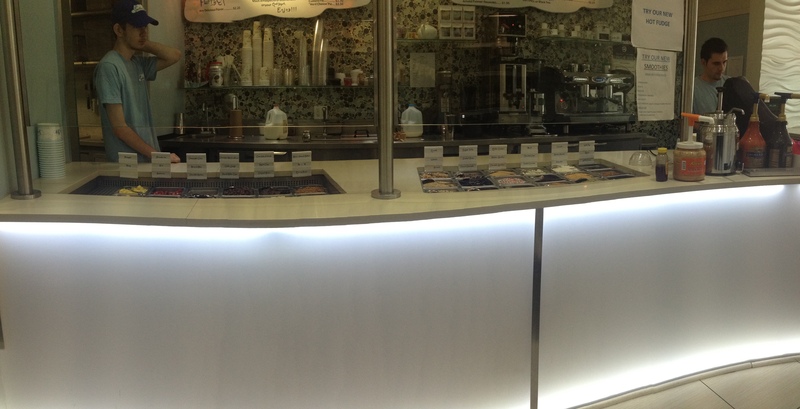 This is one of those stores where you self serve your yogurt, add your toppings and pay by the ounce. The things that sets this apart from 16 Handles or Sweet Frog is the ambiance. Which, for this girl, is a huge distinction. As the name implies, the decor is white and blue like a sky, with calm curved lines and a back room with a high ceiling that gives lots of natural light and feeling of airiness. 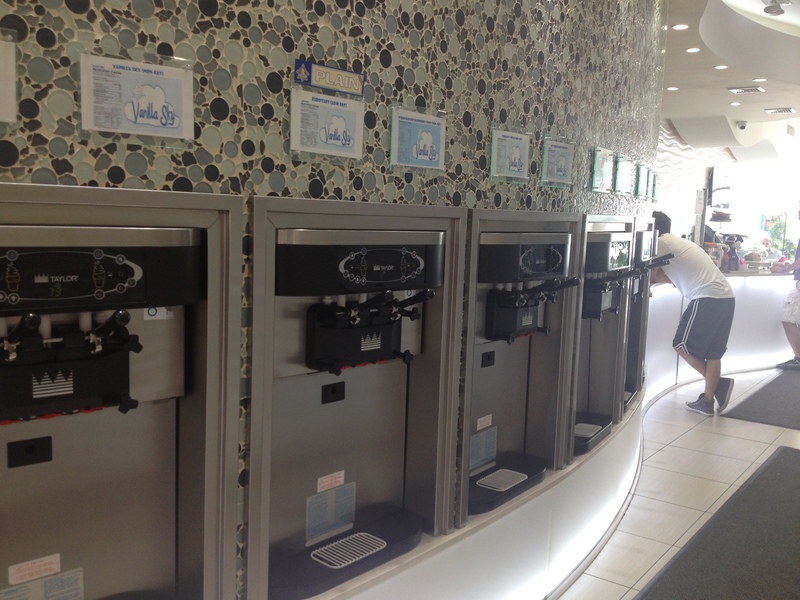 This is the place I would choose to get yogurt as an adult, where I can sit and relax in the calm without feeling rushed out by lack of seating, loud music or screaming pink walls. 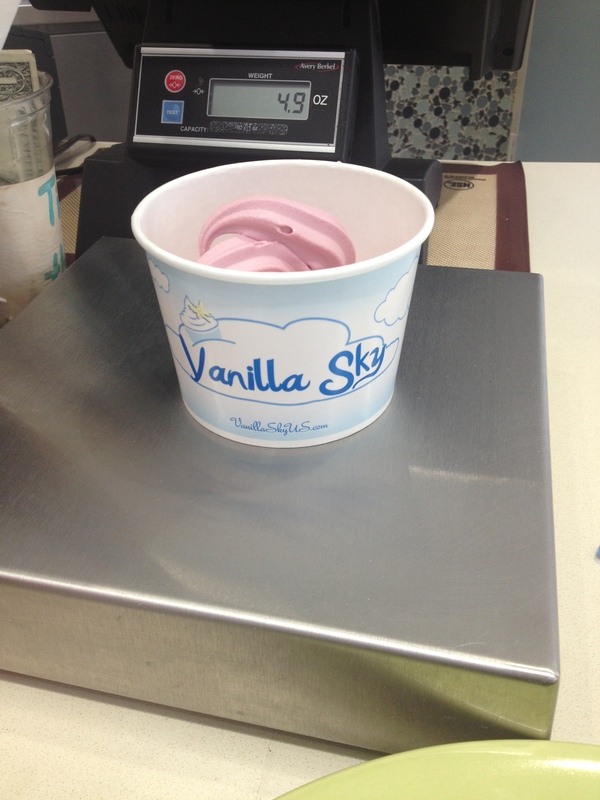 The staff was friendly and nice, and the yogurt (I got pomegranate raspberry) was refreshing. I couldn’t stay as long as I wanted because I had a rehearsal to get to later that afternoon, but I couldn’t help but notice in the back room, there were some young couples, while in the front room, there sat two elderly men, drinking espresso. If that isn’t a slice of life in Astoria, I don’t know what is. 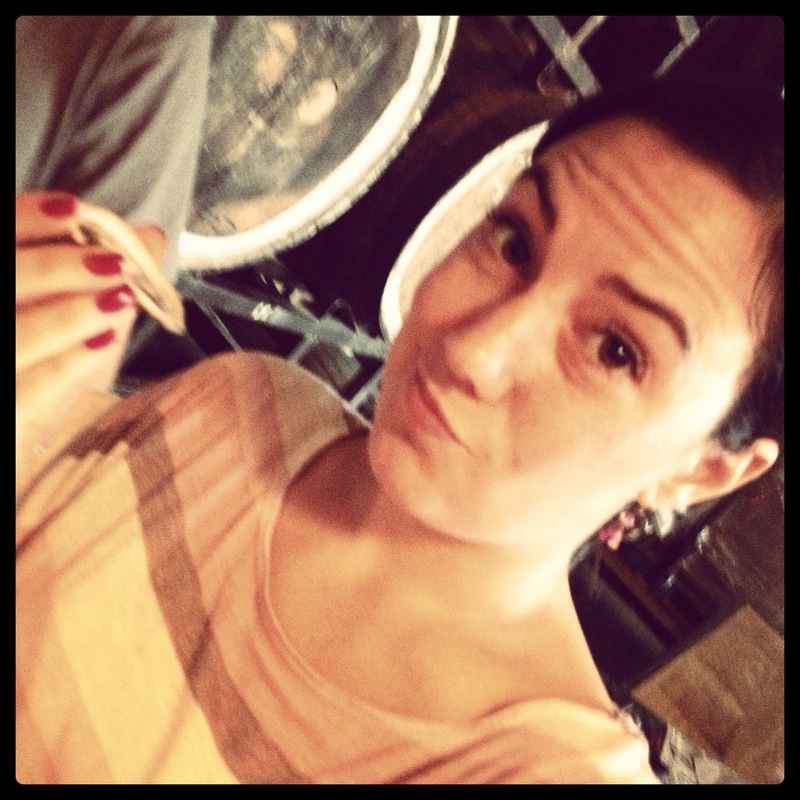 Another important step I took this weekend was something I never thought I’d do – eat oysters. I grew up allergic to shellfish and only a few years ago found out I had outgrown that allergy and was in the clear, but had never developed the taste for seafood. 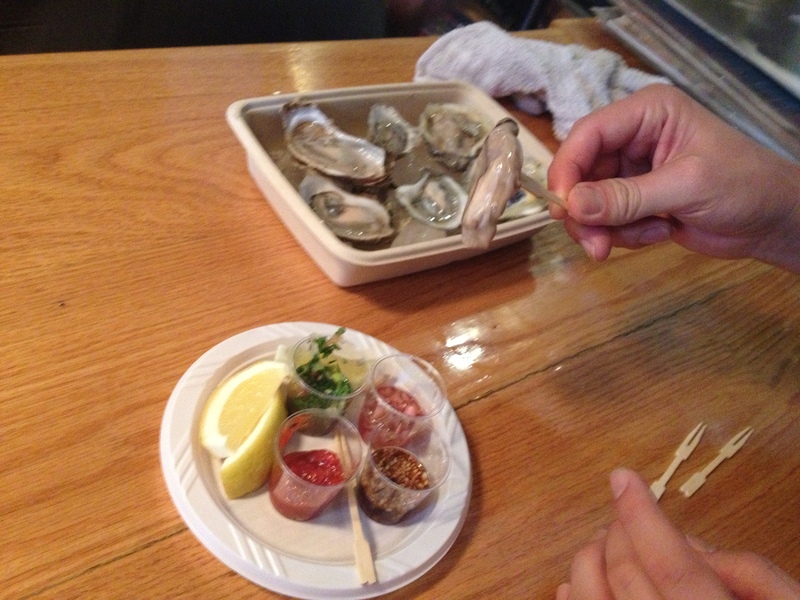 But, with the emergence of Mar’s on 34th Ave, I really wanted to try (and like) oysters. So when I heard that there was going to be a pop up oyster bar from CRUDO sea and land at Singlecut, brought to you by Queens County Market, I was there. I figured it was low commitment, and if I didn’t like it, I had a great chaser lined up. Sam was my oyster coach and prepped me on all the ways of oyster eating, but when it gets right down to it, you just gotta go for it. I ate two, one plain and swallowed and one with condiment and chewed. The second was definitely better than the first, and I’d even go so far as to say, I would eat them again! I guess there is hope for me and Mar’s after all. Be careful today and the coming days of ridiculous heat. Drink lots of water, and remember to replenish your salts. When I look at my options on how to feel better of horrid days like this, or stop thinking about this oppressive heat, I really come up with two things: 1. Sit in my apartment in a room with the air conditioner at full blast. or 2. Go out to do something for someone. 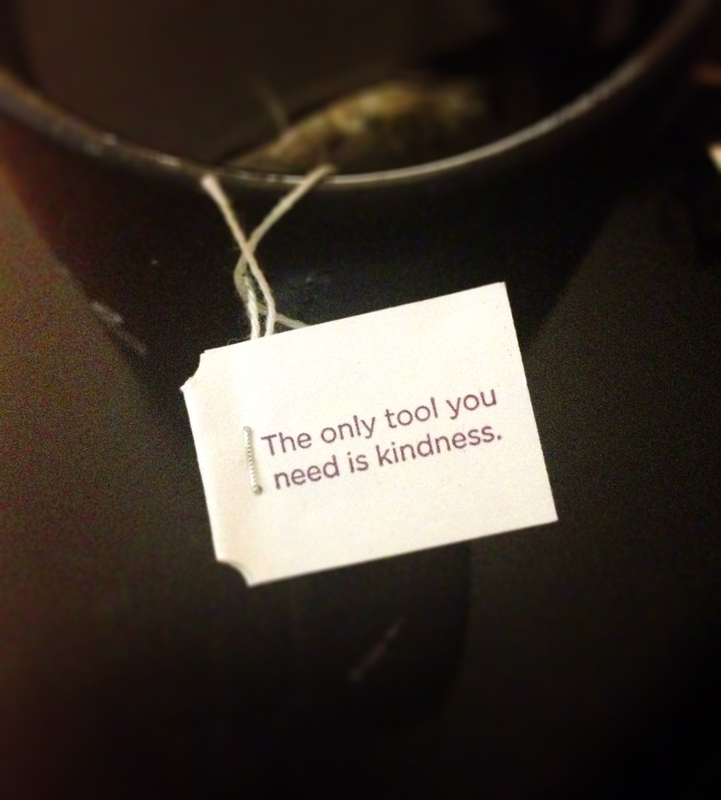 You may not think it’s that simple, but for me, it is. If I’m sitting in my room, chances are I’m not being productive, and still thinking, “Man, it’s so hot out. I’m here in the ac and I’m still sweating”. That accomplishes nothing and my give back to society is zero. I can complain about it, or I can change it. Not, the heat of course, but how I deal. I am flat out addicted to the feeling I get when I do something kind for another and give out cookies. And to back up my feelings, a friend of mine that I met along this crazy cookie journey just sent me an article that outlines evidence from recent studies, stating that we as human beings are happier when we are doing something good for others. Not just in that moment, but overall happier with our lives. Not that anything in our lives has changed, but we’ve changed, and for the better. So, being Single Girl may not cool me down, but it sure makes me happy. How do you beat the heat?